These are some of my favorite sports documentaries of all time. I’ve tried to include many different sports in this list but I’m sure I left some out so let me know if I forgot any of your favorites! This documentary won an Oscar for Best Documentary and it’s not hard to see why. 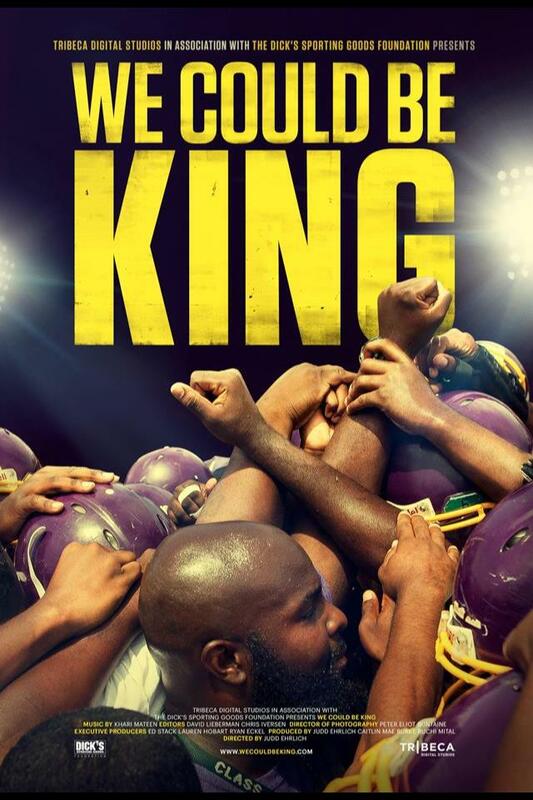 It follows an inner city high school in Memphis that’s run by a volunteer coach. The stories of these individual players is so touching and interesting. It just gives audiences a lot of insight into the struggles that these kids have to deal with. This is a documentary that’s pretty impossible not to cry over. 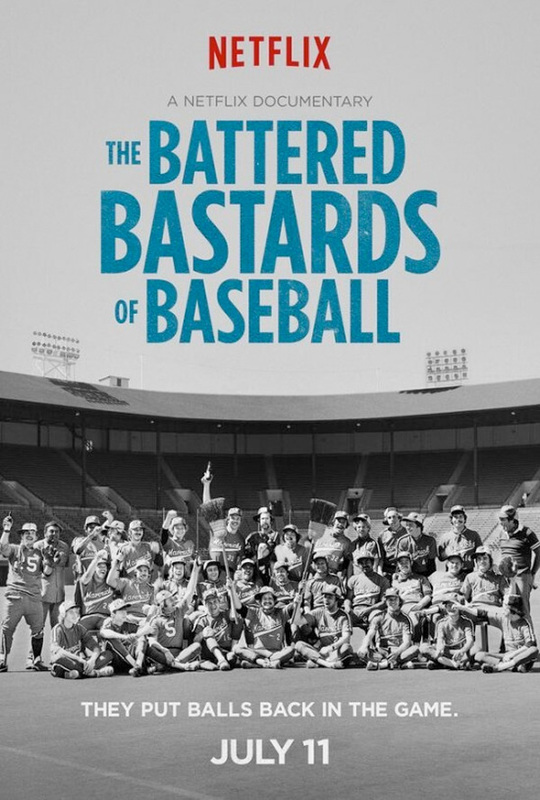 One of the best documentaries about baseball and an extremely long one at that. It’s a very in depth look at the history of baseball. It makes sure to stick as close to the dates and important decades in the sport as possible. As a whole, it’s just a fun documentary that teaches you a lot about all of the players and dates that are significant for baseball. 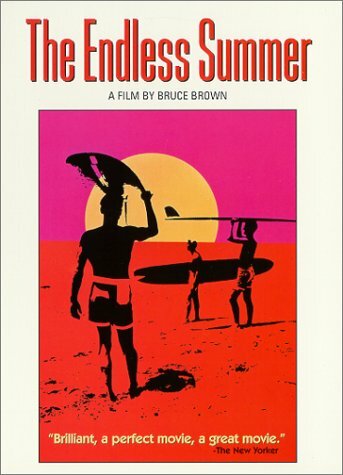 A timeless documentary that changed the direction of surfing documentaries right around. It takes a unique first person point of view that had a way of making audiences feel that they were actually apart of the story. Bruce Brown’s approach to filming and narrating in this feature in general was something that we hadn’t yet seen. He also showed that the theory “less is more” can be a relevant one when used by the right filmmaker. This is a long one but it’s far from boring, the length is perfect for you to get involved in the lives of these two high school basketball players who have dreams of playing in the NBA. That plot sounds like a simple one, what basketball player doesn’t have that dream? But as you take a closer look, you realize the racial and economic challenges that these two African American boys have to deal with. It becomes a lot more about their lives outside of the sport and that’s what keeps you at the edge of your seat the entire time. ESPN 30 for 30 films never disappoint. They always manage to tell such fascinating stories from various points of view. 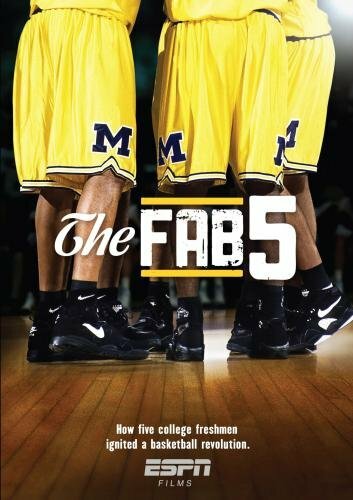 This one in particular revealed a lot about how these underprivileged boys were given the opportunity to play basketball at Michigan. At the time, they came off as being “cocky” and “punks” but this gives us more insight as four of the boys (Chris Webber didn’t want to be apart of it) were interviewed as well as other coaches and reporters around during this time. I gained a lot of respect for them after watching this and seeing how much they truly changed culture and what people thought about them. 30 for 30 isn’t typically known for being so emotional and heartbreaking. Most of the time, just the facts are being presented and it isn’t exactly tear jerking. However, this story about Terry Fox is bound to make even the hardest of hearts shed a few tears. Canadian Terry Fox was a big runner when his leg was amputated at the age of 19 because of cancer. In 1980, he ends up running across Canada on one leg. His relentless work ethic and pure love for running is so heartwarming and inspiring. An inspiring look at two Philadelphia rival schools being forced to combine their football programs due to budget cuts. The horrors that these kids go through is really emotional. One of the boys Dontae is a big guy who is extremely sensitive and it breaks your heart when the boy struggles with reading out loud. The coach himself is also an inspiration, he began helping these boys after his close friend was murdered. He wanted to help these boys get away from the realities of their lives and focus on the sport they all love. The Portland Mavericks were an independent team owned by Bing Russell, father of actor Kurt Russell who also did some acting himself. The movie is hilarious but also touching to see these underdogs rise to the top in such hilarious fashion. The people interviewed including Kurt Russell, a batboy, players, coaches, Kurt’s mom, and many more give us new dimensions to the story. As a kid, reading was literally all I did. Wait, who am I kidding? Books are still a major part of my life. I honestly can’t fathom why anyone would hate reading. For me, it’s an escape. It’s a way to understand and live through these intriguing lives that aren’t yours. I enjoy looking back on the books I read when I was younger because it’s definitely easy to forget about them. These are books that have stayed with me and no matter how many times I read them, the story and characters are still exciting to me. This book follows orphan Jeffrey Magee or better known as Maniac Magee. Maniac runs hundreds of miles to a fictional black neighborhood in Pennsylvania. He is seemingly unaware or simply not bothered by the racial tension. This is a memorable book because it has so many crazy unrealistic yet very creative tales about this legendary boy who simply saw people as people. The protagonist is the best part and the characters along the way are unforgettable as well. This book takes such a heavy topic and makes it into something light that children and adults alike can learn something from. I remember being so blown away by this book when I read it in the fourth grade. Then I read it again in middle school and got the same feeling all over again. It has a strong female protagonist named Salamanca which is like the coolest name ever. It’s one of those books that you have to read to fully grasp the greatness of it. The Giver is another equally popular by Lois Lowry. However, I read Number The Stars a few years before and loved it. It’s about a 10 year old girl living in Denmark during 1943 which is when Hitler ordered all of the Jews to be killed. Annemarie isn’t Jewish but her best friend Ellen is. Annemarie and the rest of her family risk their lives protecting the innocent. This is a beautiful work of historical fiction that takes a serious and important event and turns it into a relatable story that resonates with people of all ages. You’d think this book would be extremely boring since interactions with other people are extremely rare but there’s never a dull moment. 13 year old Brian takes a 406 bush plane to visit his father for the summer in the oil fields of northern Canada. Things get CRAY when the pilot has a heart attack and dies. He tries to land the plane but instead crashes into a lake in the forest and the only form of survival Brian has is a hatchet. It’s crazy how this young boy learns how to survive. He’s extremely smart and learns how to hunt properly. He also crafts a bow, arrows, and a fishing spear to help him hunt. The plot may sound boring to some but just remember this, if an 8 year old girl can find this intriguing you probably will too. This is one of my all time favorite books. It’s just SO creative and one book you can read over and over again. Stanley Yelnats is a boy who was in the wrong place at the wrong time. A pair of shoes literally dropped out of the sky and he got in trouble for it since it was a rare pair that an athlete was donating to an orphanage. Stanley gets sent to Camp Green Lake which is a terrible camp ran by three highly unqualified people. The boys are pretty rough compared to Stanley but he befriends young Zero who he teaches how to read. We also get some perspective on the family curse that Stanley’s “dirty-no good-rotten-pig-stealing great great grandfather” It’s perfect how the story all comes together and all of the background you learn about every character involved, even the dead ones. One of my favorite subplots is about Kissing Kate Barlow who was a pretty innocent school teacher before a tragic event happened. The movie of this is actually pretty accurate although the movie never beats the book. I think it’s impossible not to love this book. This book follows Hattie Owens, an 11 year old growing up in the 1960’s. Her typical summer gets flipped upside down when her 21 year old Uncle who is mentally disabled comes to live with them. Despite their differences, Hattie learns how to be a better person. She also learns not to judge others and how hurtful the word “retard” is. It’s an incredibly deep book and different from anything I’ve ever read. I’ve NEVER met anyone who has read this book and didn’t love it. It’s one of those rare books that just connects with everyone. It begins with an adult Billy Coleman who rescues a Redbone Coonhound from a fight with neighborhood dogs and nurses it back to help. He then flashes back to the Coonhound’s he worked tirelessly for. The perseverance and intelligence the protagonist shows throughout the novel is heartwarming. Spoiler alert: This book WILL make you cry. is filled with imagination, innocence, love, and HEARTBREAK. I’ve already said too much but I’m still not over it. This hilarious and heart warming tale follows a Michigan family who takes a road trip to visit their Grandma in Alabama. The short stories that highlight the three children and their parents growing up. It also takes a serious turn when the Watson children get their first glimpse at racism while in Alabama. Regardless of who you are or what year you’re growing up in, this is a timeless novel that applies to everyone. Okay, this book is obviously more relevant around Christmas. However, this will always be one of my favorite children’s books because it’s not just about the holiday. The narrator Beth Bradley quickly reveals that the Herdmans “are the worst kids in the whole history of the world.” The six Herdman kids constantly bully Beth and her little brother. One day Charlie became fed up with the Herdman’s taking his lunch and blurt out that he gets all the snacks he wants at church. The next Sunday the whole Herdman crew shows up just in time to hear about the Christmas pageant. Imogene, the oldest girl Herdman decides she wants to play the part of Mary and the rest of her siblings quickly claim the other roles. The rest of the story is classic and hilarious. This is definitely an underrated book that will always stay with me.